We developed a highly coarse grained model to study the aggrgation of α-synuclein, the protein associated with Parkinson's disease, into ordered structures. We represent proteins as soft bodies of various shapes with attractive patches on their surfaces. To simulate dynamics we have implemented a Brownian Dynamics algorithm for the translational and rotational motion. 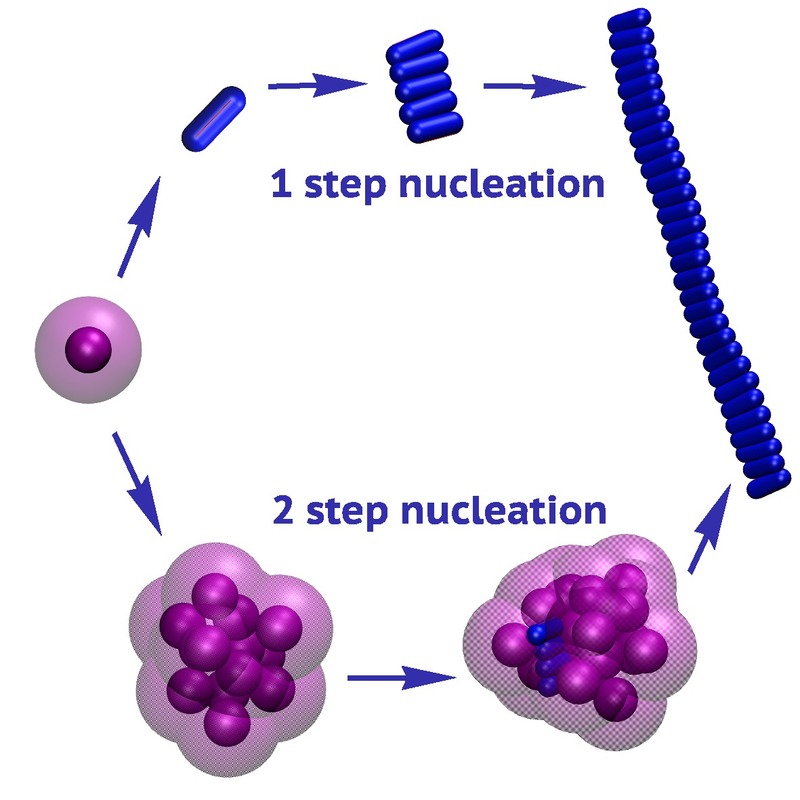 Simulation results show the formation of oligomers and fibrils by a direct nucleation-and-growth mechanism, by two-step-nucleation through the conversion of an oligomer into a fiber or vice versa, and by fibril-enhanced cinversion of oligomers into fibrils. 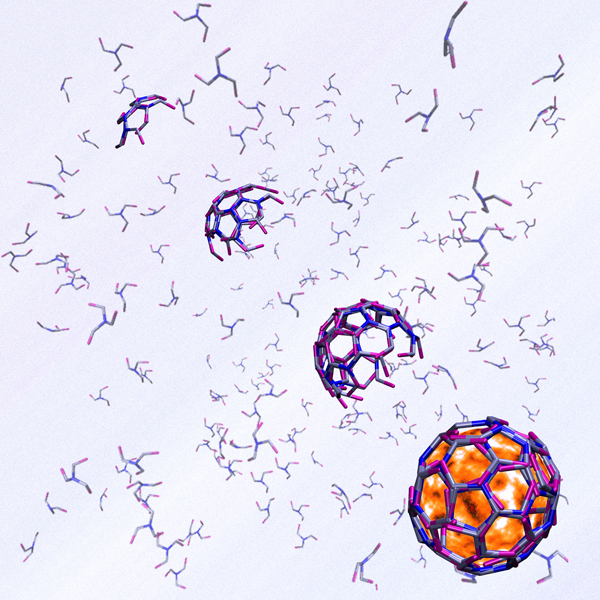 We have presented the first simulations of the self-assembly of three-legged clathrin proteins into polyhedral cages. In living cells clathrin lattices grow next to the cell membrane, thereby wrapping the membrane around any external cargo the cell wants to internalize (endocytosis). The simulations reveal that the key to cage formation lies not with clathrin's characteristic shape, but rather requires leg-leg interactions with a directionality. We also made the first estimate of the binding energy and obtained realistic aggregation time scales.